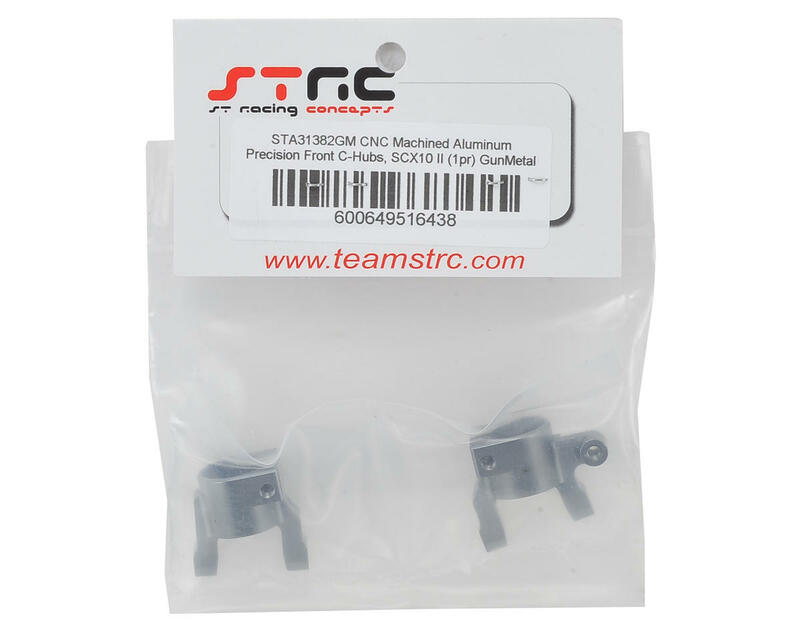 STRC SCX10 II Aluminum Front C-Hubs are precision machined aluminum upgrades for your SCX10 II, or any rig equipped with AR44 axles. 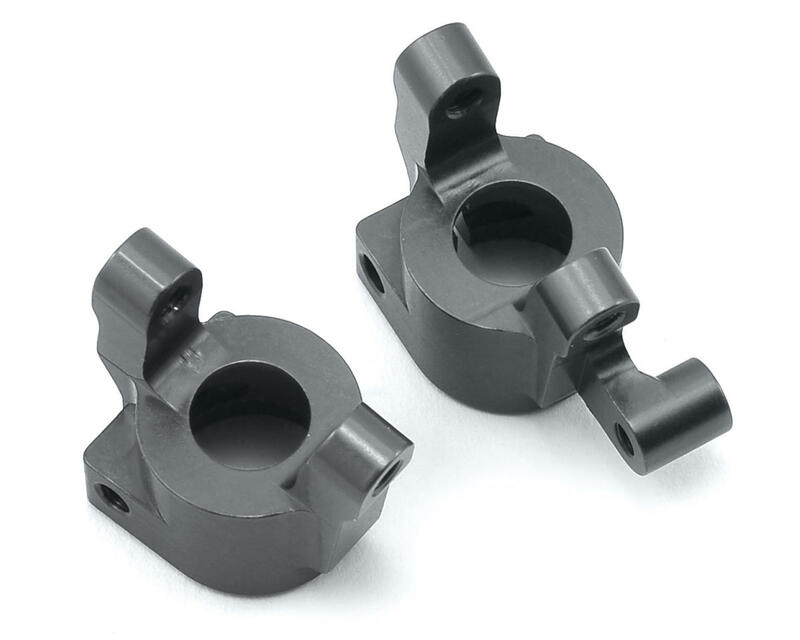 These c-hubs duplicate the spline pattern and panhard link mount, and will improve front axle durability and steering power by eliminating flex. Plus, the variety of available anodized colors will let you add a custom look to your rig. Package includes left and right side gun metal anodized c-hubs.